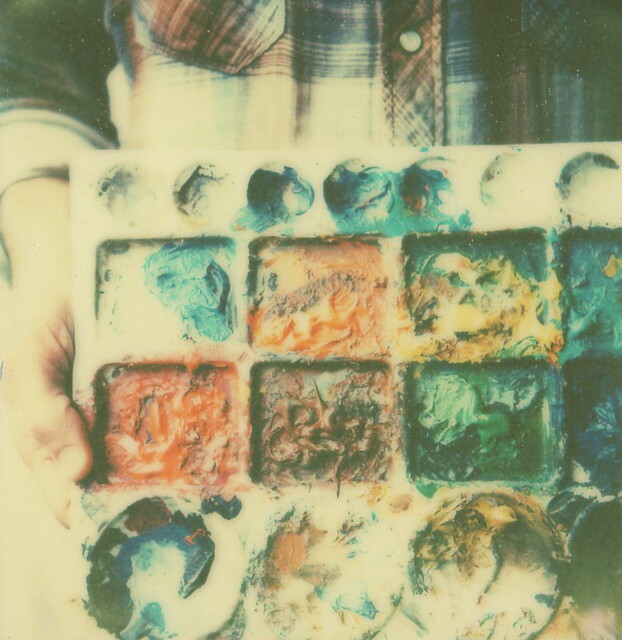 test shots from a pack of the new PX 680 color shade beta film from the impossible project. and it's a game changer, folks. it really really is. I have been waiting to see what you were going to pull out of your hat. Exciting!! I just ordered my first film from the Impossible Project for an SX-70 I picked up for $10. Taking it on our 10-day camping trip to celebrate our 10 year anniversary. If mine turn out anything close to what you do, I will be excited! The colors on these are ... BAM is a good way to put it. Wow! The color in incredible! I can't wait to try this film. oh it's so lovely....so dreamy and foggy and ethereal. i love its lightness. and are those YOUR brooches? STEAL. ;) give 'em! mmmmm, yes, that coloring will make anyone do an aboutface. love. Wow I agree. That film looks amazing!!! Amazing! I love the shot of the brooches, it's so beautiful! oh my gosh I am totally drooling right now! beautiful colours and shots, thanks for sharing. Wow wow wow, these are so pretty!!! love these! this new film is so much fun. I have been testing it too!!! 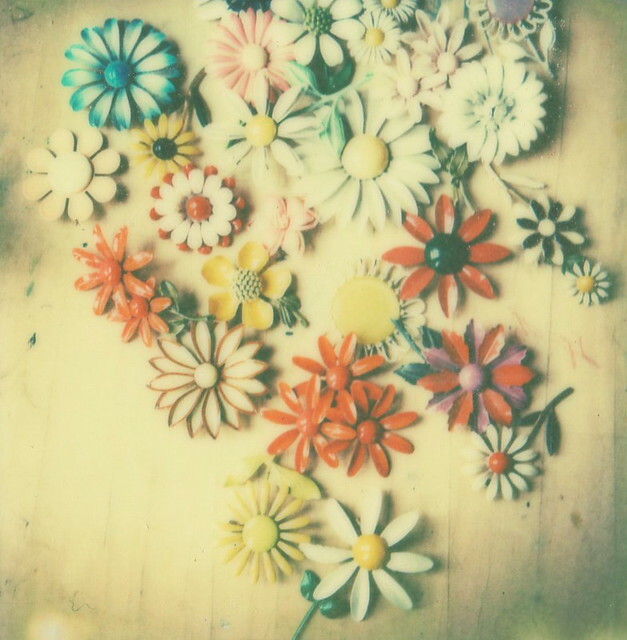 Mmmmmm flower brooches.......Lady A your photos are always good enough to eat, I swear.